Market analysts are predicting that 2016 will be the year we start to witness stellar growth for cloud based contact center solutions. This is not just crystal-ball gazing as it is based upon results from surveys carried out in 2015 by Call CenterIQ, which determined that cloud contact center solutions were quickly becoming the preferred deployment model. The survey revealed that 52% of respondents had already moved over to cloud hosted contact solutions in 2015 and 76% intended moving over in 2016. Additionally, Contact CenterIQ ‘s survey is backed up by analysts predictions, for instance IDC predicts US spending on hosted cloud contact solutions to grow at an annual compound growth rate of 17.7% and to reach $2.0 billion dollars by 2019. Similarly, Research & Markets predict a worldwide annual compound growth rate of 21.3% rising to $10.9 billion by 2019. Hosted cloud contact center solutions make a lot of sense for SME (small medium enterprises) and small businesses wishing to host a contact center to support their customer base. Cost is a primary benefit as initial hardware costs are greatly reduced and operational costs are predictable as they are subscription – user/month – based. Further operational advantages can also be derived by hosting virtual contact centers utilizing home-based remote agents, and by providing an array of ways that customers can make contact regardless of geography or time zone. For example, hosted cloud services can provide customers the choice of toll free, local and international numbers – regardless of your physical location, after all you are on the internet – for those customers that wish to use traditional telephony to talk to a human agent. On the other hand they also provide internet based technologies, such as click-to-dial for VoIP, online-chat, instance messaging, business SMS and email, even video chat is now a common option. We will undoubtedly see more of video chat with the adoption of WebRTC, which means customers’ can initiate video calls using only a standard browser on an internet capable device, with a microphone and webcam. Another operation efficiency that can be readily derived from cloud based solutions is their ease of integration with other cloud based SaaS (software as a service) solutions such as CRM (SalesForce, SugarCRM, ZenDesk) and other business SaaS applications (Google, Microsoft 365, Outlook, Oracle, and a host of others). Integrating business applications with a hosted contact center has many other operational efficiencies. For one the agent does not have to flick between screens and applications looking for call history, contact details or financial information. Instead, by integrating these different business systems the agent can work from one screen. Furthermore, by associating the caller ID with the customer’s account, a calling customer can be recognized and their details automatically retrieved and be on the agent’s careen before the call is even answered. By doing so the agent will then have the caller’s, call history, customer details , recent conversations – email, chats and call histories – to hand, saving time and possibly defusing a situation. Similarly, they do not have to waste both theirs and the customers time by asking for customer details as all the contact details are already on the system and they can be entered into a new record with one click of the agent’s mouse. Furthermore, integrating business backend systems becomes valuable data sources for business intelligence and marketing especially now that big data analytics is becoming fashionable in even SME environments. 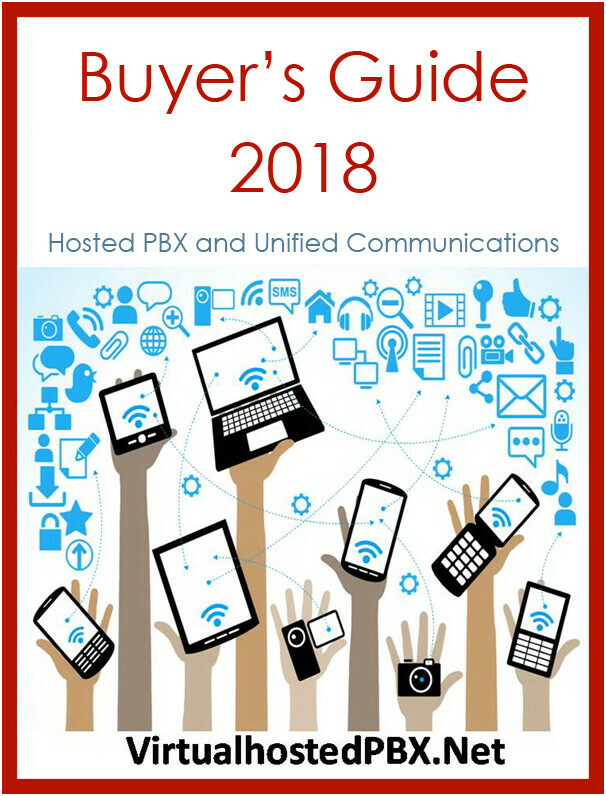 Already we have seen over the past few years cloud hosted UC (unified communications) companies start to implement contact center features into their products. Features such as skill based routing, advanced queuing; hunt groups and advanced IVR, are just some of the advanced features deployed in vendors’ standard UCaaS packages. However, few if any delivered a complete solution, for example there was rarely any features that allowed real-time reporting and analytics which is vital for contact center supervision or wall displays that showed in real-time, waiting calls, queue depth, the agent ‘s time on calls and other performance statistics and KPIs (key performance indicators). Fonality – Cloud hosted UCaaS solution that specializes in contact center solutions with many advanced features such as application integration for caller ID recognition, Heads up displays, advanced queuing and call handling. 8×8 – has recently improved is rather basic in-bound call centric service by implemented its global reach technology that reduces the latency of voice calls, which facilitates the use of virtual contact centers and remote agents. It has also acquired DXI a UK based company that specializes in outbound and CSQ, which supplies screen capture, call recording , speech analysis and other call management features. RingCentral – RingCentral has developed its Contact Center solution by collating all the advanced call handling and management features in Office enterprise into a dedicated contact center package. RingCentral have also improved the RingCentral Contact Center by collaborating with InContact, which provides for collation and interaction between, telephone, chat, email and SMS interactions. The tight interaction between InContact and RingCentrals IP/PBX service allows remote agents to use the PBX features and to use standard deskphone/mobile/softphones while still sharing presence information with other remote or local agents. Avaya – has launched a new service called Customer Engagement On Avaya – Powered by Google Cloud Platform. What this brings to the table is a partnering of Avaya’s IP Office Contact Center technology, which Avaya now offers as-a-service for a monthly subscription fee, and the service is based in Google’s Cloud. The co-branded solution, supports from 10-250 agents and 50 supervisors, so it is targeted at mid-market sized companies, and SME’s. NEC – Has also launched a cloud hosted UCaaS contact center solution called UNIVERGE. The service provides a suite of features including intelligent routing and queuing, advanced IVR (interactive voice), call recording, quality monitoring, with real-time reporting. Shoretel – have redesigned their earlier multi-channel contact center solution and added some new features. These include new web features, integrated chat features and a secure method to remotely connect without requiring a VPN. Most importantly, the package is redesigned for UCaaS or for on-site deployment.